…The maritime power strategy is very new. China never had the ability to secure its coastline. Now China is faced with the issue of being more active in guaranteeing shipping and supplies, at the same time as following Deng’s policy of being a good neighbour. We see that many countries have territorial disputes with China, and others are worried about China’s maritime military and civilian power. China can make some tradeoffs with these countries to ensure the disputes have a “soft landing”, and through strategic financial aid and economic cooperation with countries like Vietnam and the whole region, which will enrich all of us. There is some “creative tension” — there is tension, but more and more creative elements. China now recognizes that in order to guarantee economic growth we have to make some compromises with other countries in order to be accepted as a supplier of public goods in the region. But Japan is different. Japan does not care about China’s economic growth, financial ability, or assistance to public goods, it want wants to make its own deal individually. That’s why China-Japan relations are as they are now, with no soft landing possibility in the short term. Although the sides are also ready to do some crisis management, stagnation will continue. This lack of hope regarding Sino-Japanese relations tallies with the recent reports of a high-level strategic decision to target Japan for long-term strategic struggle. 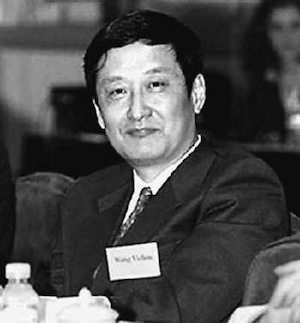 In this regard, one of Wang’s most pertinent observations was about China’s design of “multiple packages” for the various territorial disputant countries, which may have been a theme of the Peripheral Diplomacy work conference. In Chinese we have an idiom: “be tougher with the tough, and softer with the soft 硬的更硬, 软的更软”. You have to be tough to some countries, which makes you more powerful, but being softer means you have to show your kindness, to make people see you as a “big brother”, as good, as a provider of public goods, and good deals. So [the customized packages] need to be implemented incrementally, and this is a test for the new leaders. I am cautiously optimistic about a soft landing for the South China Sea. In five or ten years, i can imagine looking back and saying, yes, there were tensions in a certain period, but finally…soft landing!… everyone got happy, economic cooperation continued and this region of East Asia was okay, it continued as an important part of the world economy, and China continued as a force, even larger and more powerful. I think it is up to the current leadership to make this kind of grand deal. This would be to carry out Deng’s injunctions concerning a “good neighbourhood” that is “co-prosperous”. This resonates with the kind of strategic vision reflected in the the Peripheral Diplomacy conference, in which China is accepted as a peaceful and friendly “big brother” in East Asia. But this could probably only happen if Japan could be isolated by the international community and forced to back down over Diaoyu (or more). Peter Mattis has argued that this is likely to be the strategy behind the East China Sea ADIZ announcement.
. . . because both Israel and Arab countries want to be partners with China, so it’s best to keep a low profile, stick to financial and infrastructure support. There is little chance of a security role for China there. On the other hand, there are things we can do. So when the US and Russia reached a deal on an initiative for Syria, China immediately offered to supply financial support for post-conflict settlement. Iran is different, because it is basically in an enemy role with the West. Only if Russia made a deal with Western powers would China will join. China will not the intiator of that issue. On PRC-North Korea relations, Wang points out that the two countries have been moving from “blood allies” to a more normal relationship ever since the 1990s, when China normalized relations with South Korea. Beijing’s overall goal is the peaceful and gradual “denuclearization of the whole peninsula” (a formulation designed to be acceptable to North Korea), and Wang says China has been firmer with North Korea over the past 18 months. “If Kim Jong-un wants to come to Beijing, he will be welcome, but if it’s just about ceremony then it’s not necessary. Come here, and make a deal about denuclearization. That’s our attitude.” There will be no meeting between Xi and Kim without a commitment to denuclearization, and that is a new policy, an important sign of China playing a constructive role on the peninsula. At the same time, I should make clear, China will not join with the US, Japan, South Korea and other countries, in using tough punishments against North Korea. China is very clear: we will protect the peninsula from any kind of military clash. We do not want our backyard to be on fire. As the conversation turns to US-China relations, Wang talks about Xi Jinping’s ‘New Type of Great Power Relations’, arguing it represents the new leader’s sincere desire for better crisis management. Each generation of Chinese political leaders has attached great importance to US-China relations. What’s new in Xi Jinping’s idea is that he wants to prevent potential conflicts with the US in the Pacific area. We’ve seen tensions and disputes in the area, so Xi wants to develop a package of crisis management measures with the US. A crucial question is whether these will be just verbal, while in fact the two countries just become more and more suspicious of each other. “My view is very simple: if the US and China can have a systematic crisis management system, then we’ll be okay in the near future.” Long-term, it is hard to say, and it depends very much on China’s domestic political atmosphere, particularly its reform and opening up process. Lastly, Haenle asks whether US-China cooperation on global issues is viable, and if so, which areas the Chinese side would see such potential for cooperation. There are two possibilities: Bob Ross’s logic that China is a continental power, so for it to try to become a maritime power would be a disaster, or Xi Jinping’s dream of the Pacific being wide enough for both the US and China. In traditional areas, military affairs and East Asian security, China and the US can do a lot, and there are already some packages of measures in these area. But my recent interest is on five new domains, that are “lacking mature rules”, which could either become areas of US-China cooperation or sharp competition: deep-sea, the Arctic, outer space, cyber space, and finance. 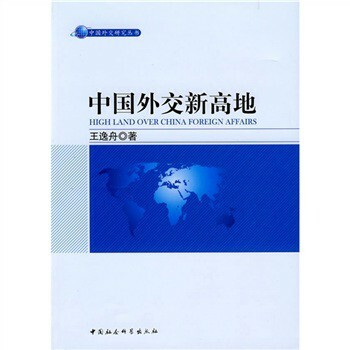 The potential for cooperation in these new areas, which I term “highlands”, is something that US and Chinese scholars and media can explore.